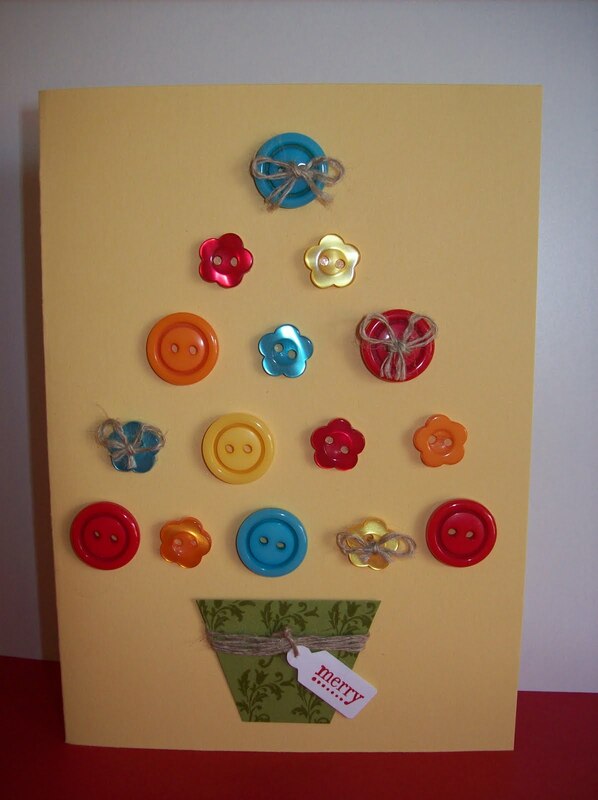 I decided to use buttons for this months Christmas Cards. The first button cards I made are using the Designer Big Buttons - Sweet Stitches out of the Stampin Up! Autumn - Winter Mini Catalogue. 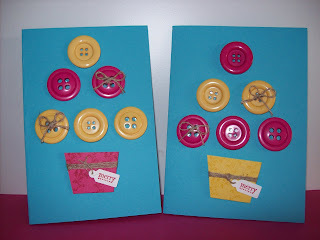 Accessories:﻿ Linen Thread, Jewelry Tag Punch, Designer Big Buttons - Sweet Stitches and Adhesives. 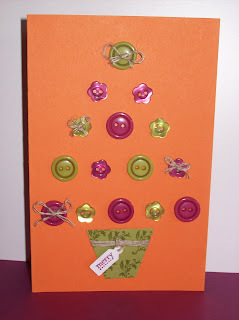 Card stock: Whisper White, So Saffron, Tangerine Tango, Always Artichoke and Old Olive. 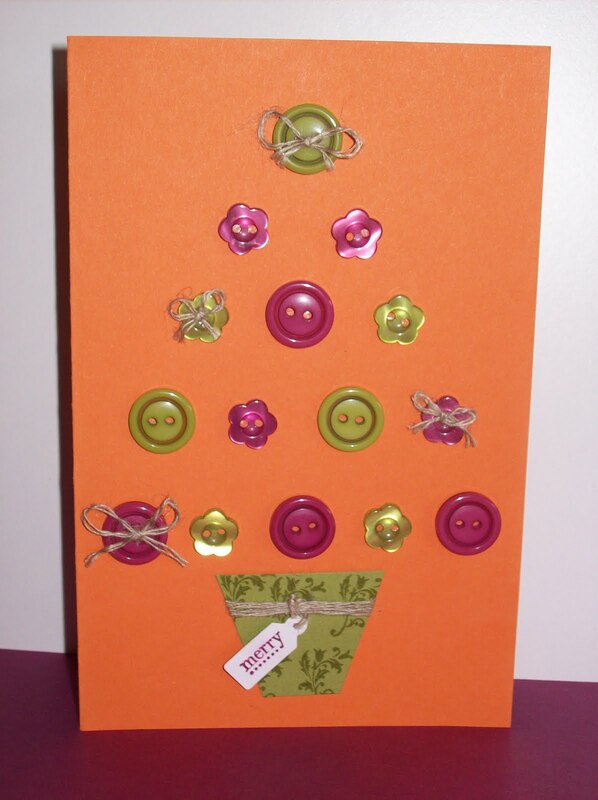 These next couple of cards I made out of Designer Series Buttons - Brights out of Stampin Up! current 2010 -2011 Idea Book and Catalogue. 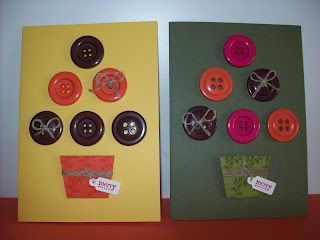 Card stock: Whisper White, So Saffron and Old Olive. Accessories:﻿ Linen Thread, Jewelry Tag Punch, Designer Series Buttons - Brights and Adhesives. Card stock: Whisper White, Tangerine Tango and Old Olive.